Mexico’s most powerful drug kingpin, Joaquin “El Chapo” Guzman Loera, was arrested at a condominium in the Pacific resort of Mazatlan in the early hours of Saturday morning. The leader of the Sinaloa Federation was reportedly captured, alongside a female companion and two other men, without shots being fired. Led by Mexican marines and the DEA, the joint operation to catch the elusive drug lord had been underway for several months. President Enrique Peña Nieto confirmed “the apprehension of Joaquin Guzman Loera in Mazatlan” and congratulated the work of Mexico’s security forces. “The government of the republic is working to guarantee the security of the state and achieve peace in Mexico,” Peña Nieto added. At 2 p.m. a handcuffed Guzman was paraded before the press at a military hangar before Federal Attorney General Jesus Murillo Karam disclosed details of the arrest. The operation against Guzman intensified from February 13 to 17, with the authorities arresting several Sinaloa Federation operatives and raiding the home of Guzman’s ex-wife Griselda Lopez Perez in Culiacan, Sinaloa. Guzman was almost arrested on several occasions throughout the week, Murillo said, but he managed to escape through tunnels that linked seven of his safe houses and led out into the city’s sewer system. Marines backed by two helicopters and six armored vehicles eventually captured Guzman at 6:40 a.m. Saturday at the Condo Miramar in Mazatlan, a popular resort to the south of Culiacan in the state of Sinaloa. In total, the authorities arrested 13 of Guzman’s associates and “secured 97 rifles, 36 handguns, two grenade launchers, one rocket launcher, 43 vehicles – of which 19 were armored – 16 houses and four ranches,” Murillo revealed. 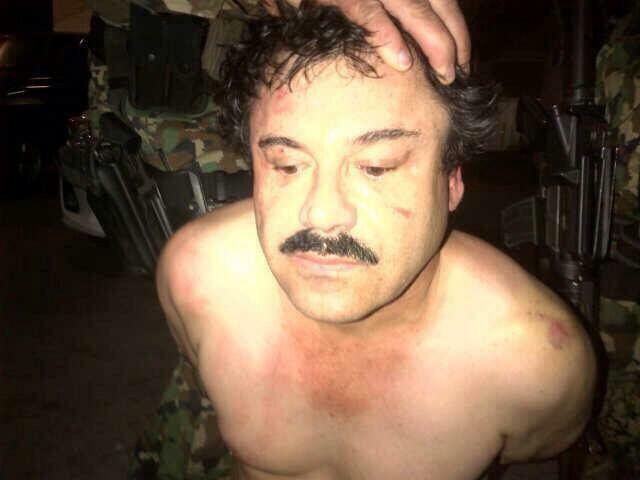 Guzman’s capture is the most significant development in Mexico’s war on drugs to date. The previous two National Action Party (PAN) administrations were widely accused of protecting Guzman and the Sinaloa Federation, while pursuing their rivals, so his arrest represents a major coup for Enrique Peña Nieto’s Institutional Revolutionary Party (PRI) government. Despite saying it would abandon the PAN’s strategy of pursuing the heads of Mexico’s most powerful gangs, the PRI has now arrested the leaders of Los Zetas, the Gulf Cartel and the Sinaloa Federation in the last year, as well as severely weakening the Knights Templar cartel. In doing so, Peña Nieto has essentially beaten his predecessor Felipe Calderon at his own game. Born into poverty in the town of La Tuna, in the heart of Sinaloa’s drug producing region, in 1957, Guzman learned the ropes of the drug trade under the tutelage of Guadalajara Cartel kingpin Miguel Angel Felix Gallardo in the early 1980s. He was arrested in Guatemala in 1993 in connection with the murder of Cardinal Posadas Oscampo at Guadalajara International Airport, although many believe Guzman himself was the intended target of the hit. 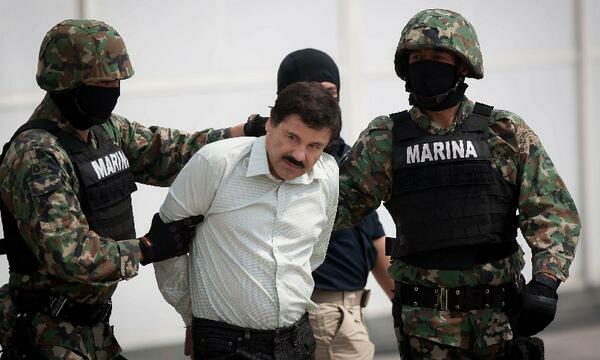 Since escaping from prison in 2001, Guzman established himself as Mexico’s dominant drug lord. He amassed an estimated fortune of $1 billion and is ranked by Forbes as the 67th most powerful man on earth. After the death of Osama Bin Laden in 2011 Guzman assumed the mantle of the FBI and Interpol’s most wanted criminal and last year he became the first man since Al Capone to be named Chicago’s Public Enemy #1. It is unclear whether Guzman will face justice in Mexico or be extradited to the United States, where the State Department had offered a $5 million reward for information leading to his arrest. The latter would represent more of a punishment, given that Guzman reportedly had access to drugs, prostitutes and restaurant food in Jalisco’s maximum-security Puente Grande, where he would often throw wild parties and invite friends and relatives over, prior to his escape in 2001. Few Mexicans believed Guzman would ever be recaptured and many even feared his arrest, as it could destabilize great swaths of the country that were under his control. The Sinaloa Federation traffics vast quantities of drugs into the United States but it does not engage in crimes that affect the local population, such as extortion or kidnappings, to the same extent that other cartels have done. The arrest of Guzman could lead to rival gangs such as Los Zetas attempting to seize the Sinaloa Federation’s territory. The killing or detention of prominent kingpins also typically leads to a power vacuum and a short-term spike in the levels of violence as rival factions within the cartel fight for hegemony. 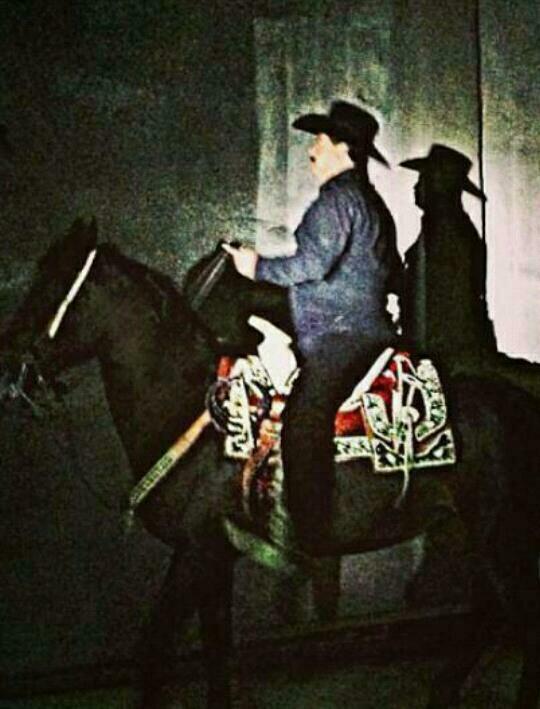 In this case it is most likely that Zambada will consolidate control of the Sinaloa Federation, although, rumors of a split between him and Guzman have circulated in recent months and it is possible that the latter’s sons, Ivan and Alfredo Guzman, could attempt to seize control of their father’s side of the cartel.